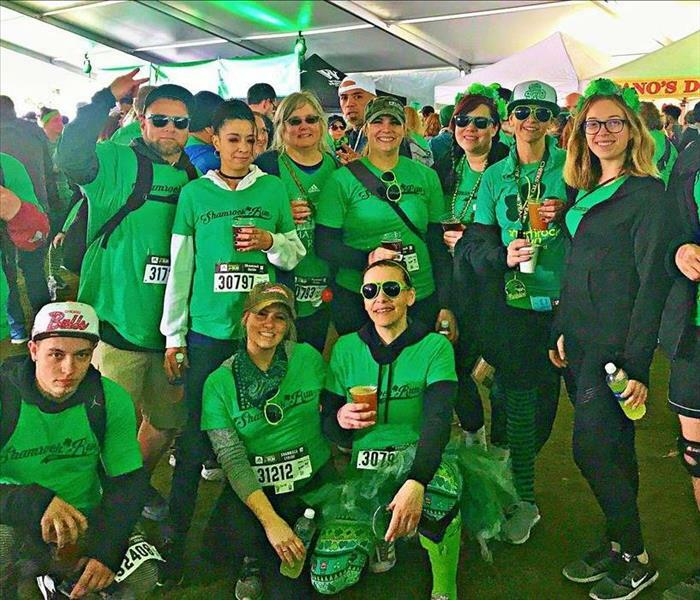 We all had a blast at the 40th annual Shamrock Run in downtown Portland last Sunday! 25 employees participated in 5 events. We even had 2 half marathon runners, and a 15K runner! Team SERVPRO was definitely represented at this awesome event! Not only is this a fun event for the entire family, it also benefits Doernbecher Children's Hospital Foundation, a cause near and dear to our hearts. We hope to make it again next year! Great job team green! 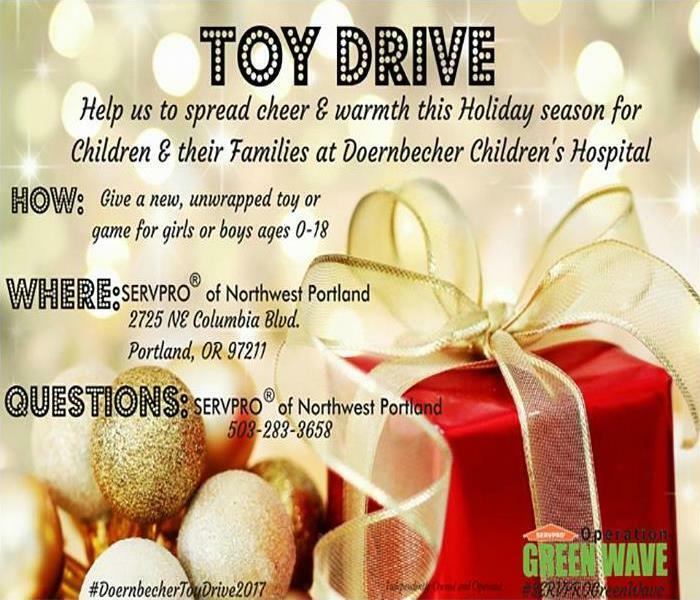 SERVPRO of Northwest Portland is participating in the Doernbecher Children’s Hospital Holiday Toy Drive. With so many patients coming and going they need new toys, books, electronics, and other items to help them and their families feel at home. Visit http://www.ohsu.edu/xd/health/services/doernbecher/how-to-help/wish-list.cfm to view the list of items they need. If you are interested in helping, please contact us at (503) 283-3658. 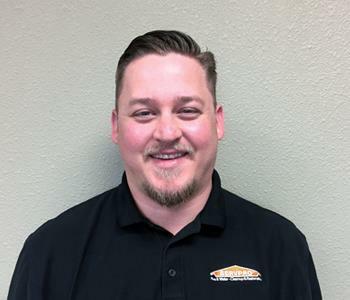 Our team at SERVPRO enjoys being involved in supporting our local community and charities. 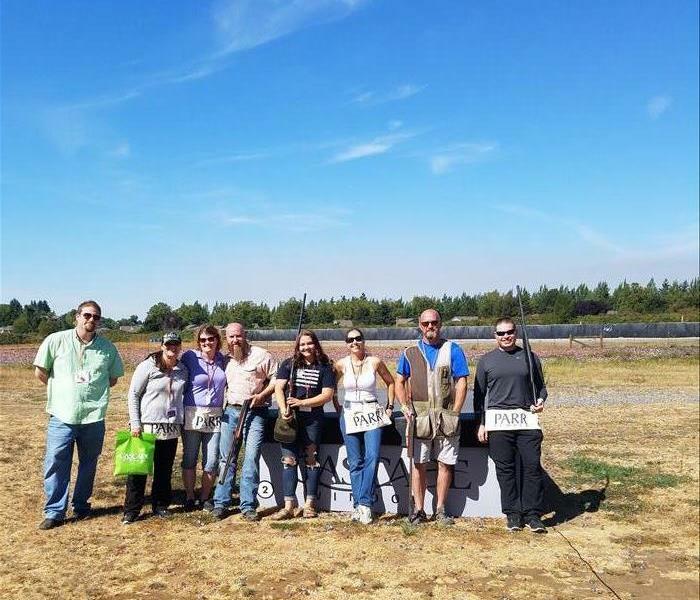 Our SERVPRO of Northwest Portland team were sponsors at the recent Home Builders Association Trap Shoot that was held at the Portland Gun Club. While we didn't win, we still had a blast getting to spend time and interact with other local sponsors. We strive to support our local community whenever possible. Pictured left to right is Erik Ellefson of SERVPRO, Candra Cole of Pilot Properties, Holly Thompson of SERVPRO, Kelly Whitlock of Travelers Insurance, Kiley Whitlock of Travelers Insurance, Angela Shinn of Superior Community Management, Todd O’Brien of NAVEX Global and Tyler Tietz of Oregon State University. Our team of restoration professionals have the advanced training and equipment needed to restore your home or business. 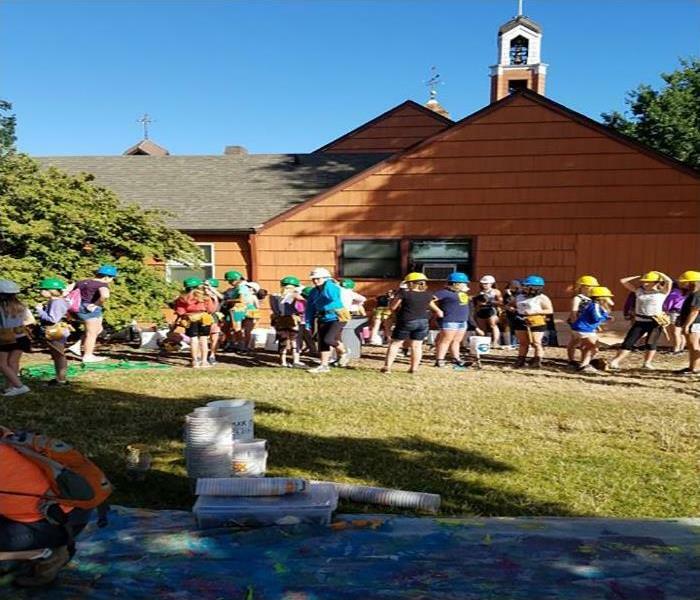 SERVPRO of Northwest Portland is volunteering with the Power Women’s Build Habitat for Humanity program for the Power Girls Build Event. Girls Build is a non-profit organization encouraging self-confidence and inquisitiveness in young girls through the world of building. 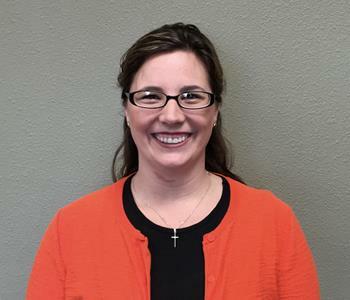 Our team members at SERVPRO are big supporters of local charities. 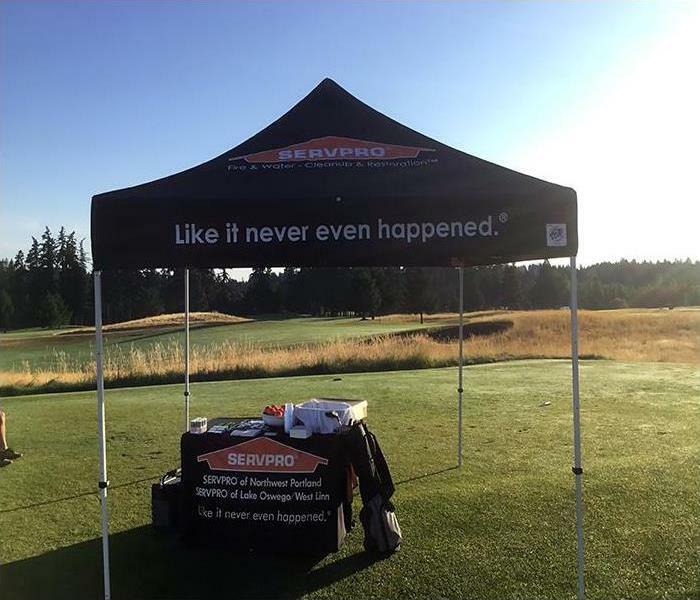 Recently SERVPRO of Northwest Portland took part in the Plumbing Heating and Cooling Contractors (PHCC) golf tournament which took place at the Stone Creek Golf Club. Our team at SERVPRO was located on hole 9. The PHCC represents both union and open shop contractors. We are big supporters of our community. Seasons Greetings from SERVPRO of NW Portland! 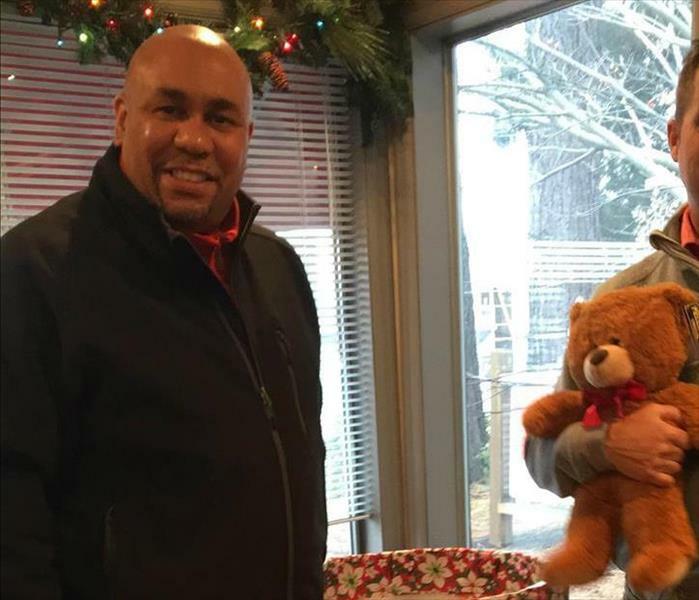 SERVPRO of NW Portland would like to extend a big warm winter hug to Kiwanis Club of Greater Portland and Cedar hills for their generous toy donations to our Toy Drive for Doernbecher Children’s Hospital. Along with Kiwanis and our partners at State Farm on N Vancouver Ave, State Farm on SW Cornell, KIN Living office and The 240 Clay building, we were able to donate 3 full bins of new toys to help NW Portland area children have a happy holiday! Many thanks to everyone who donated this year. Happy Holidays from your friends at SERVPRO of NW Portland.